GW: All I know is, I never wanted to work in the traditional cubical world. Cinema has I use to hate reading/writing but now have a responsibility to invent compelling characters, story structures and world rules. As a director, I get to work with the best individuals to make great scripts come to life. SM: I became a filmmaker because I truly believe being a storyteller is why I was put onto this earth. Even if I impact one life at a time it’s absolutely worth all the time and energy that we put into a film, and I’m so thankful to be chasing this dream and making movies. 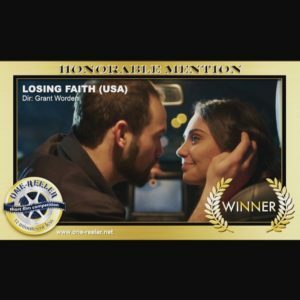 GW: Losing Faith received an Honorable Mention in the One-Reeler short film competition (One-reeler.net) This is the first local showing. GW: 1. 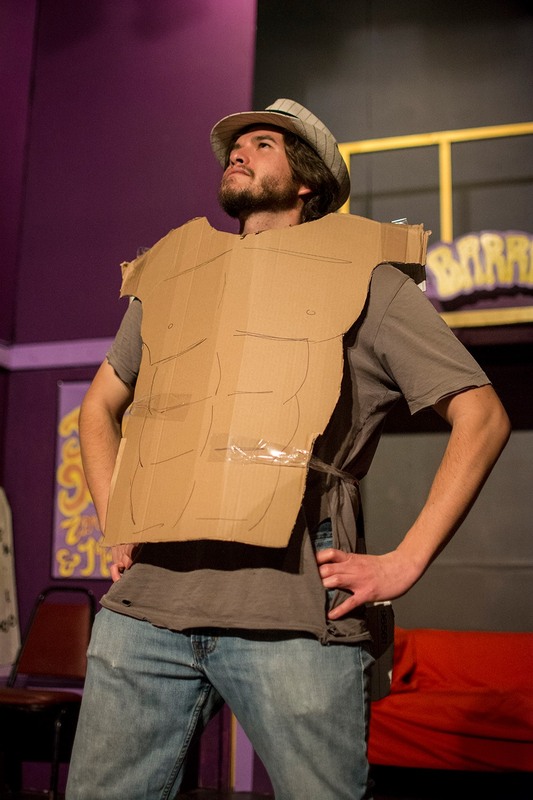 Wrapped principal photography this January on my Colorado Film School production 3 (senior thesis) Open Mic Night. An quirky drama about a bar’s last open mic night and all the characters that perform. It was filmed here in Denver at Pearl’s on 13th St. It will be premiering May 2018. SM: I’m currently finishing my last semester at NYFA in Los Angeles and am knee deep in work here! Learning as much as I can and pouring my heart out into all my projects! GW: ABOUT ME: I love Manatees, Hockey and all things grapefruit. ABOUT MY WORK: All my scripts and short film productions tend to deal with odd couples that are searching for with the right way to be themselves. SM: We scrapped two days of shooting on this film and headed in the original direction of what we wanted. So many people thought we were crazy, but ultimately we followed the integrity of the script and I am so proud of the result! I also wrote the film to be dedicated to my mom, as a small thank you for teaching me to be strong and to have faith. SM: You can find me on Linkedin, I would love to connect with you! There you can see more of my work and eventually my updated reel and website. GW: I am humbled to show Losing Faith at the EFP. Only having attended twice before I find the atmosphere to be creatively intoxicating. Just being in the room is an honor due to the fact everyone loves and works hard to promote good film. Thank you again for all your hard work and dedication. SM: It’s so wonderful to be back here! This is my third film being shown here, and I’m thankful for EFP for championing filmmakers in Colorado and creating an awesome opportunity to network and support one another. Keep rocking EFP! Hope to see you again soon! 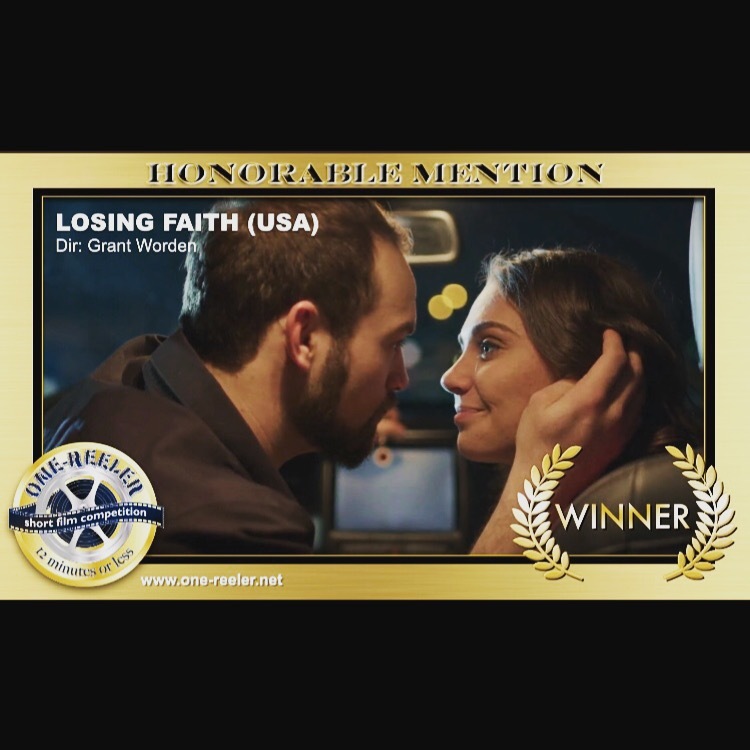 Losing Faith will screen at The Emerging Filmmakers Project on Thursday, March 15th at The Bug Theatre. SH: I’m simply passionate about motion pictures and doing filmmaking. I’ve been working with cameras since I was 15 shooting stills, making skateboard & snowboard videos and short documentaries. I worked in broadcast TV and then went to college for photography. I’ve spent the last five years in Vietnam making music videos, short documentaries, extreme sports & promo videos and TV commercials as an all-around filmmaker, camera operator and editor. I’ve been directing more in the last few years. SH: You will see a 5 minute teaser for, XJW | Coming Out of the Jehovah’s Witness Religion. It’s an ongoing documentary series following interviewees of diverse backgrounds and cultures who’ve left the religion. Over 100,000 members leave the religion each year. This teaser was released at www.xjwdoc.com on March 1st 2018.
to fund more production. We have a killer soundtrack, subliminal message options, a credit blog and many more incentives on offer. It’s taken two years of travel, interviews and editing to craft it into something unique that fits the original vision. We are telling compelling stories of strength and transformation of those who make the difficult decision to leave and pursue inspiring lives. With your contributions we hope to make it into something ongoing with wide public appeal. We are in the middle of production. I’m filming with a ballet dancer this week for this XJW project. We plan to conduct at least 10 interviews and film with each person to capture their modern lives in the spring and summer of 2018. We hope to edit the first episode by the end of 2018. We are committed to release exclusive segments of the project as we create it and to deliver it to our audience via email. We’ve got a few videos in the queue. We’re releasing exclusively to those who sign up at www.xjwdoc.com. We may stream it on SeedandSpark.com if the campaign goes well. SH: I’ve got 15 other short docs, adventure sports shorts, narrative shorts and music videos that are out and hope to screen many of them at EFP over the next year. As an extension of, XJW | Coming Out, I’ve got some live multi-camera punk rock videos I’m working on for one of the interviewees I shot a couple weeks ago. I’ll release those soon for the band and pull from that content later for the doc. I’ll be doing some collaboration with Seventh Circle music venue’s film team to create high quality live music videos. The owner is a film school graduate who encourages film craft and all things DIY. 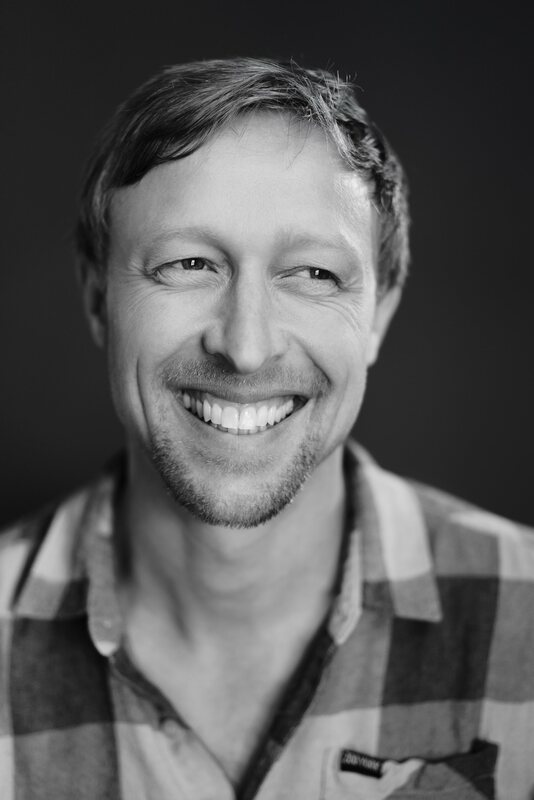 He works with a 10 person volunteer film team to cover most live shows. SH: I like to do rapid filmmaking and rush documentaries. For example last summer I booked a screening for a feature length documentary at a rooftop music venue in Vietnam, REC ROOM. It was called, Year One REC, about 1 year of shows and art at that very music venue. They booked it and that’s when I started to edit the doc and do interviews with the owners and fans. It was a 1 week personal challenge complete with a lot of all-nighters. Some people came out to support it as a community project with archival footage, a bit of editing, coffee, beers, Vietnamese subtitles and good feedback. I was still exporting the film when people were showing up to watch it. It screened that night and a week later at another music venue. It has some quirks to it that I plan to tighten up but overall came out well. SH: I have multiple YouTube and Vimeo channels but the simplest way to view my best work is on my personal page, scott-homan.strikingly.com – Scroll to the bottom where the videos are embedded. SH: I was so impressed by how EFP regulars and participants are all so approachable and non-pretentious yet put on such a quality screening and Q&A. I’m excited to be screening my own work there. XJW | Coming Out of the Jehovah’s Witness Religion (teaser and pitch) will screen at The Emerging Filmmakers Project on Thursday, March 15th at The Bug Theatre. EP: I’ve been doing theatre ever since I was a little kid, and I studied it all through school and college. 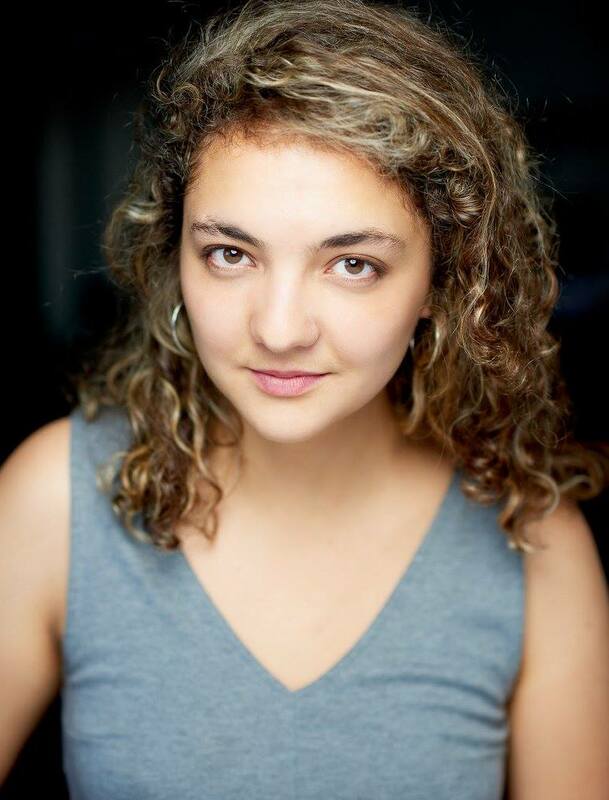 I moved to NYC in August of 2016, ready to pursue playwriting, acting, and directing for theatre – but I found myself working on film projects and getting more involved with the NYC film scene! I love films and have always wanted to make one… so I wrote one – the one that’s showing tonight – and we made it! I find filmmaking to be an electrifying medium in every part of the process and I’m thrilled to be discovering it. EP So, I’m back in Colorado, my home state, to work on my next film! We are shooting the third week of March. It is a twenty-minute short, entitled High. Shot in Grand County, the film features two women characters: an unnerved young mother and a footloose ski bum, who unearth suppressed desires in a hazardous twist of encounters. EP My film High will be the first play or film I’ve ever written that doesn’t end tragically. EP: Follow me on Instagram! Follow High on Instagram! Sign up to follow on High’s Seed & Spark page. EP: This is awesome, and I’m so thrilled to be interacting with the Colorado film community! 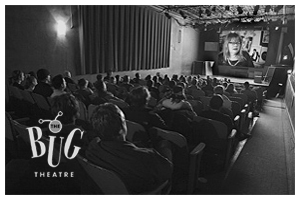 Tenny will screen at The Emerging Filmmakers Project on Thursday, March 15th at The Bug Theatre. WE: I don’t why I “became” a filmmaker. I think it’s more of a compulsion than anything else, really. A sickness if you will. WE: You are going to see the Second episode of the web series Behind the Smile that I co-directed and edited for the Black Actors Guild. I don’t believe it has been screened in its entirety at any live event, but it’s been online for two years. WE: I have been hosting and co-producing Open Screen Night since 2014 and am currently helping with an anarchist comedy variety puppet show called No Gods No Masters and a comedy-ish local politics show called Dat-Mocracy Tho! with some very talented performers and personalities. I also make my own shorts when I find the time and inspiration. WE: I’m not sure what’s weird about my movies themselves; I’ll need you to tell me. Though the production of this particular series from which this episode is taken, was cursed with, and book-ended by, real life tragedy. I thought that was peculiar. WE: The website to my old sketch comedy series “Laugh, You Bastards!” (www.laughyoubastards.com) has a biography about me, I think. I don’t think it’s a real biography, but it’s fun to pretend. The whole series is up there, too. That show is how I learned how to make movies, so that’s a good start. WE: I like the name of this event. I like that now I have the title of “Emergent Filmmaker.” I will start adding “E.F.” to the end of my name. Behind the Smile Episode 2 will screen at The Emerging Filmmakers Project on Thursday, March 15th at The Bug Theatre.